Whilst the title of this post is not an actual type of penguin I certainly feel it is quite fitting considering the nickname for this penguin is the bearded penguin and I very much enjoy sporting a beard. 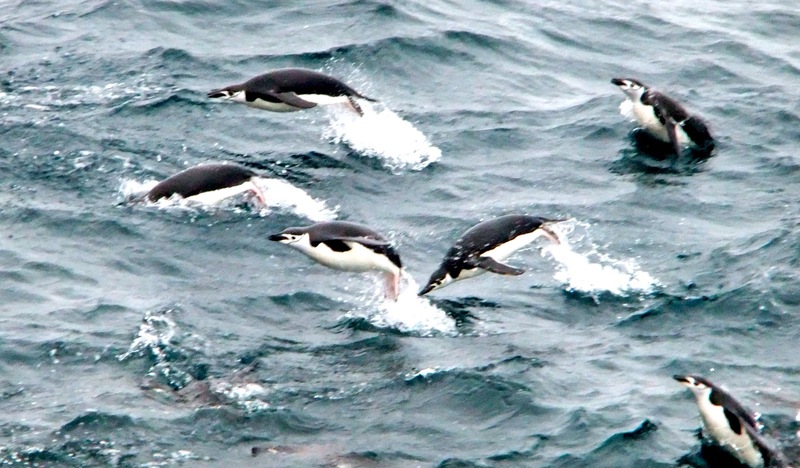 They are more commonly known as chinstrap penguins, I wont explain why. 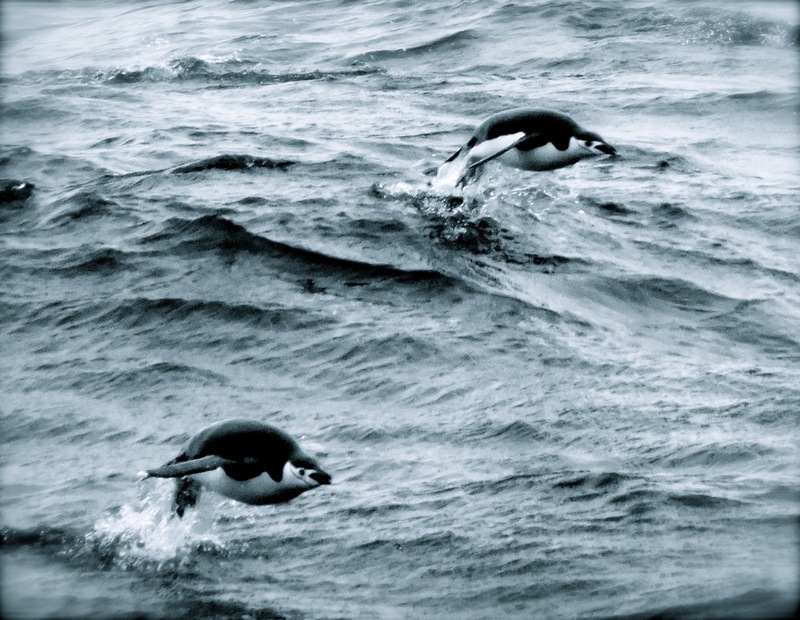 The first time I saw these penguins was on our way to the South Sandwich Islands and in my typical nature I regressed to about 5 years old again upon seeing my first penguin in the wild. I got rather excitable and obviously ran to grab my shiny new camera to get as many pictures as I could, this proved very difficult indeed as they are rather fast and unpredictable swimmers, non the less you can see the results below. They almost exclusively eat krill, taken in pursuit diving. Chinstraps are mini-mountaineers, choosing rocky and ice-free slopes, sometimes in association with, but above, Gentoos and Adelies, from just above sea level to as high as 100 metres.They arrive late October/ early November, the first birds that arrive occupy the highest places – the first to become ice free- often on rocky and seemingly inaccessible sites. using their beaks and sharp claws to heave and push their way up sometimes even on all fours, getting up is a hard task but down? Well that’s just a fun spot of belly tobogganing. They enjoy a longer breeding period than the Adelies and have a more relaxed attitude. The chinstraps have a strong bond with both their nest and their partner, they mate for life. The male will wait for his ‘bird’ and often this causes a tendency for the season to be prolonged. The normal clutch is 2 eggs in November/ December time, both parents share the incubation period of 35-40 days, the chicks are fattened on regurgitated krill and are fledged in 50-60 days, the chicks then go to sea whilst their parents begin to moult, it may well be April or even May for all the stragglers to go to sea. 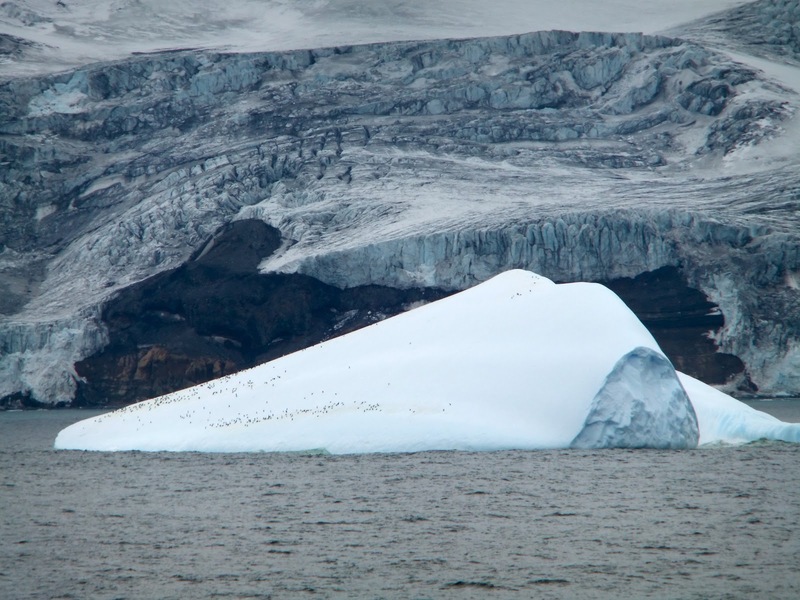 There are an estimated 7 million pairs of chinstrap penguins and I for one wouldn’t want to be about if they all hung about together because a cross between fish and chicken crap is not on my list of my top 5 favourite smells. HA! This entry was posted on Tuesday, November 27th, 2012 at 8:43 pm by The Mariner. You can follow any responses to this entry through the RSS 2.0 feed.